EvolTwin has a staff of experienced design professionals. We're happy to help you design your project from beginning to end. You can also design online, or choose from hundreds of templates that we can fit to your project. We’ve compiled the best selection of art elements on the web. You don’t need to be an artist to have awesome, professionally designed Tees. 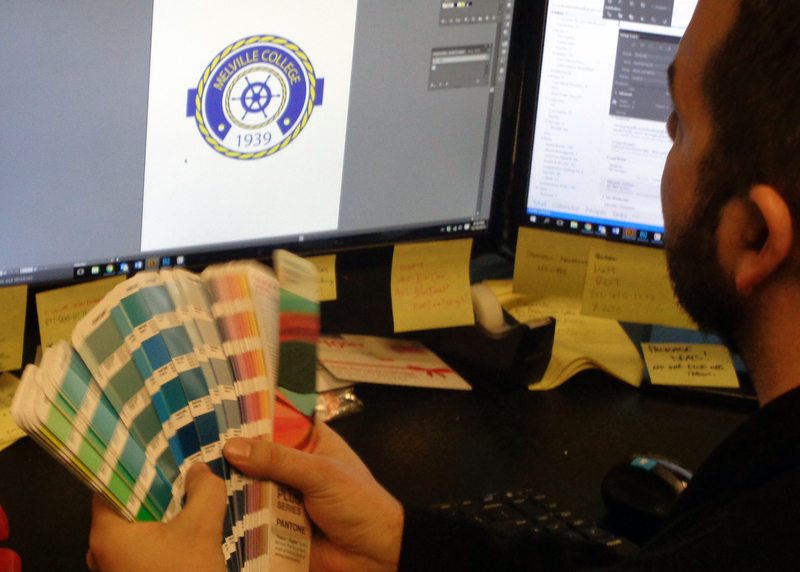 Every project goes under design review from our staff, and a second PDF proof is sent with every order over 10 pieces. 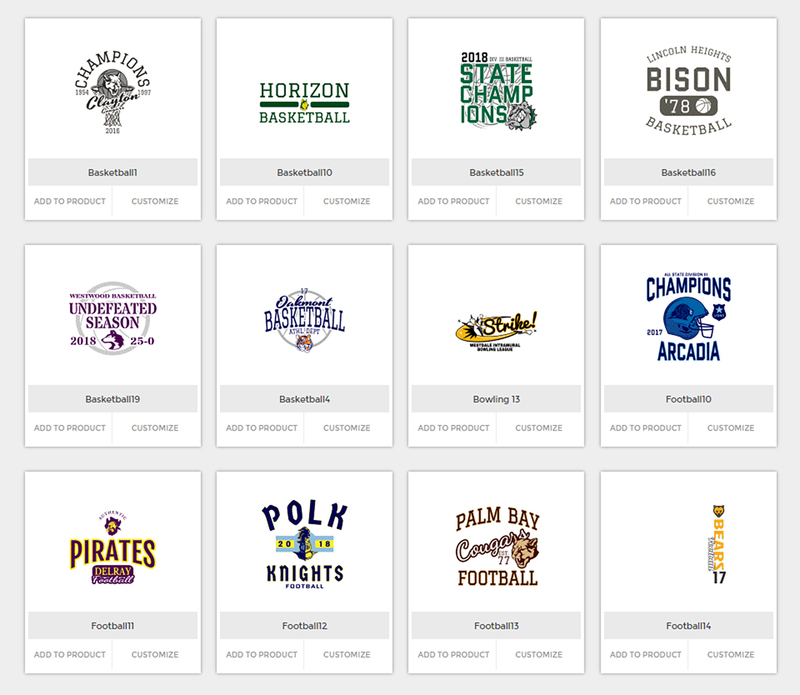 Customize hundreds of templates that our staff have created in our Design Studio. Change text, colors, or upload your own art. If you don’t feel like altering it yourself, we’ll do it! Just tell us which design template your interested in, and what you’d like us to do to it. We’re happy to do it. The service that gave us our tagline ‘Custom Design T-Shirts!’ Maybe you’ve just got an idea, or a sketch on a napkin. Our talented design staff is here to help that idea come to life! 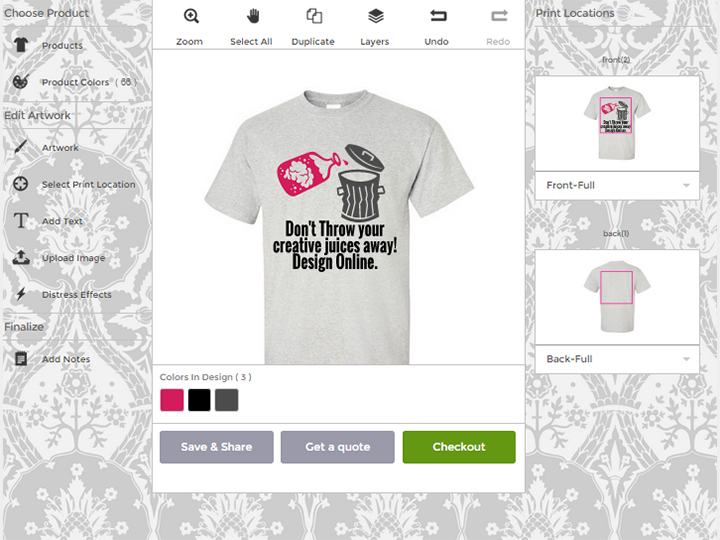 In most cases, we can create your custom design free of charge with your shirt project!